We ensure that our children thrive in a happy and safe environment. 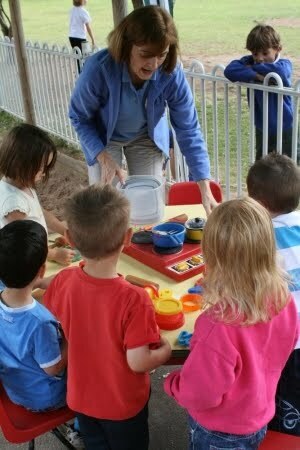 Our community Preschool is run by a management committee of parents. We first opened our doors in 1978 and have gone from strength to strength. The self contained building that we use is located in the grounds of St Augustine's Primary school, Downend, Bristol. The Preschool uses the Early Years Foundation Stage as guidance for the activities we plan for the children. However, our main inspiration comes from careful observations of the children during play, regular reports are shared with parents and parents are always welcome to discuss their child’s progress with their key person. We communicate with other settings that a child attends, by doing this we are able to ensure that individual needs and interests are being met.